James 4:7- Submit yourselves therefore to God. 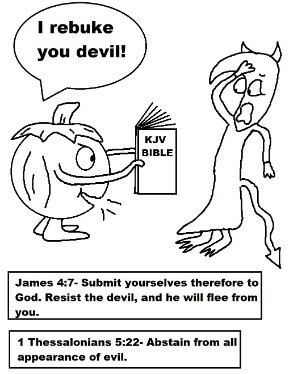 Resist the devil and he will flee from you. 1 Thessalonians 5:22- Abstain from all appearance of evil. Print the pumpkin coloring page out and hand out to the kids in Sunday school or Children's Church to color. Teach the children what the scriptures mean in James 4:7 and 1 Thess 5:22. 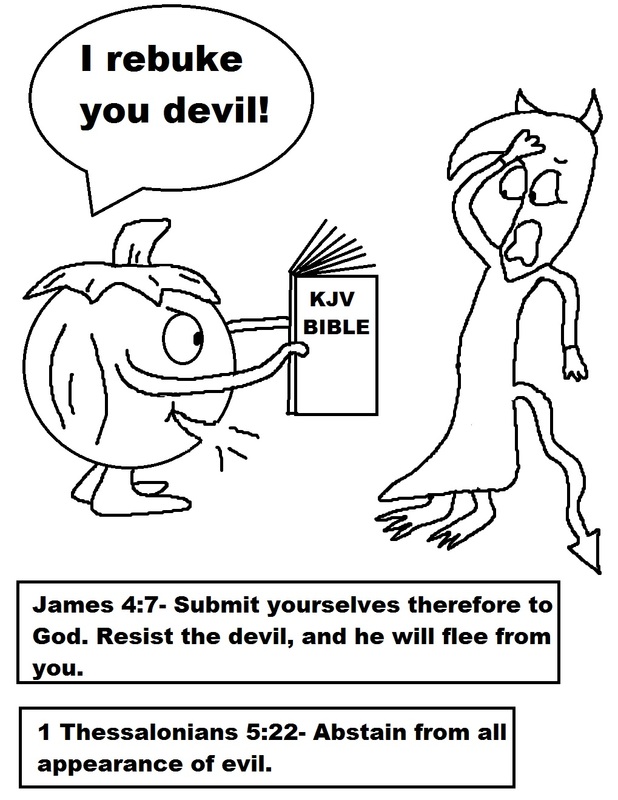 The Bible teaches us that if we resist the devil he will flee from us. We need to stay away from things that are evil. The Bible says that if it LOOKS evil then stay away from it. Jesus loves us very much and wants for us to live our lives for him, and not submit to the devil. When we run with the devil and hang out with him then that makes us partners with him. God wants us to be partners with him instead. He tells us these things in his word for a reason. We do not need to ignore his written word. We have a Fall Lesson that has printable pumpkin activity sheets, scarecrow templates and crafts, candy corn snacks and crafts and so much more. We have Fall Festival Ideas too.